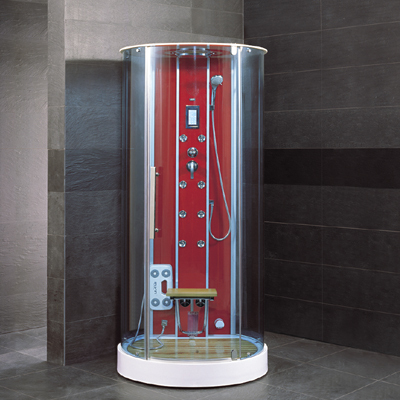 Thermasol is one of the premiere brands in the manufacture of equipment required for steam showers. Their website is a wealth of information regarding their products, and industry practices. 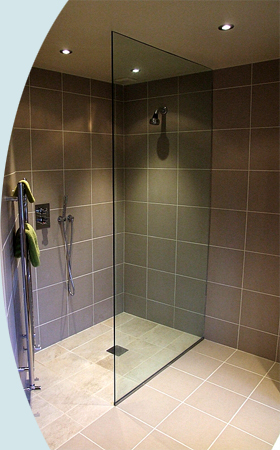 Steam showers make a luxurious addition to the higher end bathroom. Chromatherapy is a holistic health concept that believes that colored light has therapeutic effects. Even more important than seeing the light may be the effect of the colored light rays as they come directly into effect with the body. The SOK fixture by Kohler incorporates chromatherapy by means of LED lights. Below are two images of asian themed bathrooms. Both emphasize simplicity. The first is more chinese in character, the second is more japanese.